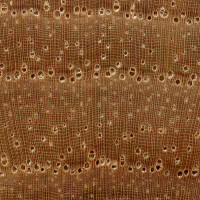 Grain/Texture: Grain is usually straight, though occasionally wavy. Texture is medium, with a low natural luster. 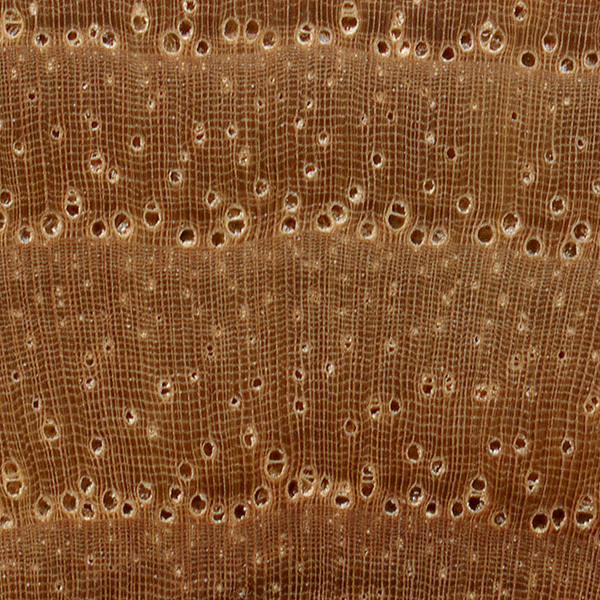 Endgrain: Ring-porous to semi-ring-porous; large to very large earlywood pores in a single intermittent row, medium to small latewood pores solitary and radial multiples of 2-3, few; tyloses common; parenchyma reticulate (bands absent from earlywood row in true hickory group, but present in pecan hickory group); narrow rays, close spacing. Allergies/Toxicity: Besides the standard health risks associated with any type of wood dust, no further health reactions have been associated with Pecan. See the articles Wood Allergies and Toxicity and Wood Dust Safety for more information. Common Uses: Tool handles, ladder rungs, wheel spokes, and flooring. Comments: Pecan has slightly lower strength values than some of the other species of Hickory, but it is still among the hardest and strongest of woods native to the United States. The wood is commonly used where strength or shock-resistance is important. As the common name implies, Carya illinoinensis is the tree responsible for producing Pecan nuts commonly used in snacks and cooking recipes, and is the state tree of Texas. 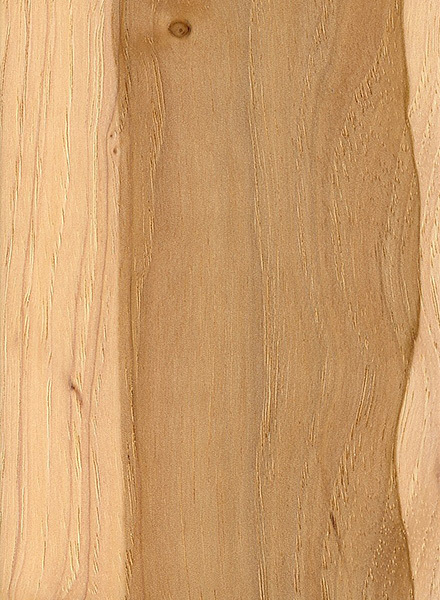 Pecan falls into the Pecan-Hickory grouping, which tends to be slightly stabler but weaker than the True-Hickories, and is considered to be a semi-ring-porous wood. The strength characteristics of Pecan are somewhat influenced by the spacing of its growth rings. In general, wood from faster-growing trees, with wider spaced growth rings, tends to be harder, heavier, and stronger than wood from slower-growing trees that have rings which are closer together. In addition to strength and hardness applications, the wood of Carya species also has a very high thermal energy content when burned, and is sometimes used as fuelwood for wood stoves. Additionally, Pecan is also used as charcoal in cooking meat, with the smoke imparting additional flavor to the food. Since I began wood working and carving I have found that people seem to generally ignore or stay away from the use of Pecan in their projects. I, on the other hand, have used it in many projects due to its abundance here in South Louisiana and find it to be not only beautiful, but pretty easy to work with. I mainly use it for spoon carving, but have made other things with it as well. The only real issue that I have had is that it is very prone to splitting. 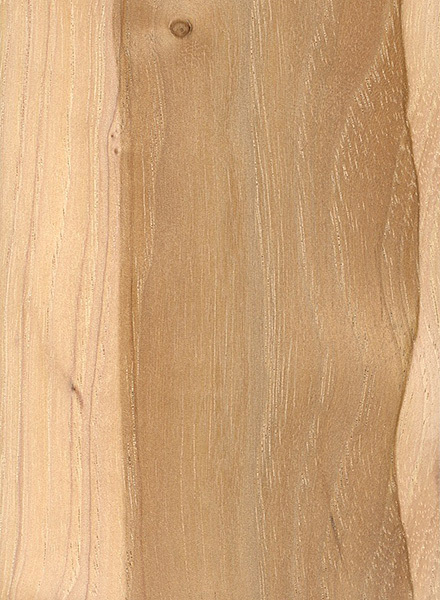 Thanks for all of the info on various lumber species, I really enjoy your site. 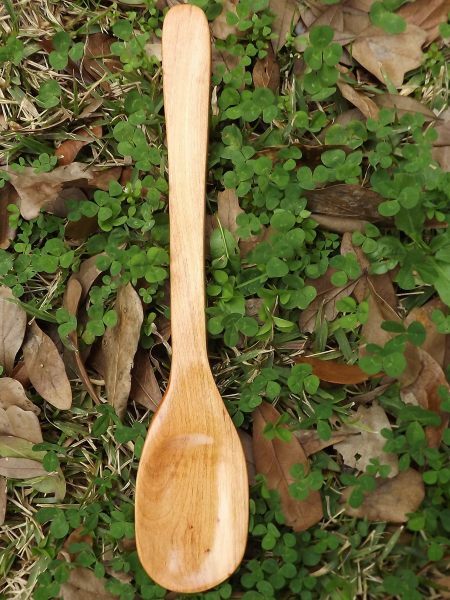 The attached picture is one of my Pecan wood spoons. How do you treat the wood before shaping it? I found Pecan to be a a bit fickle to work with. It burns really easily so you have to work pretty quickly to keep burning from happening. Other than that it was pretty much like working with oak. Keep the router speeds up to avoid tear out and move quickly to avoid burning. 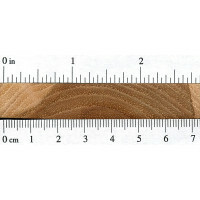 I got a bunch of thinner boards of this from someones flooring they wanted to pull out. It is very nice but you need new or sharpened blades to work with it without burning it. It is very hard compared to many other common woods and does not dent or scratch easily, I used it around the base of my wood stove platform where it gets kicked and banged. Not a mark on it yet. Will chunk off little pieces easily if you aren’t careful routing the corners. The faster growing trees tend to be stronger only with species that are ring-porous like ash, oak, etc. because the big earlywood pores are much weaker than the latewood section, so the faster it grows, the more latewood (as compared to the earlywood) there is. In general though, especially with softwoods and most diffuse-porous hardwoods, the slower growing trees produce the strongest wood. 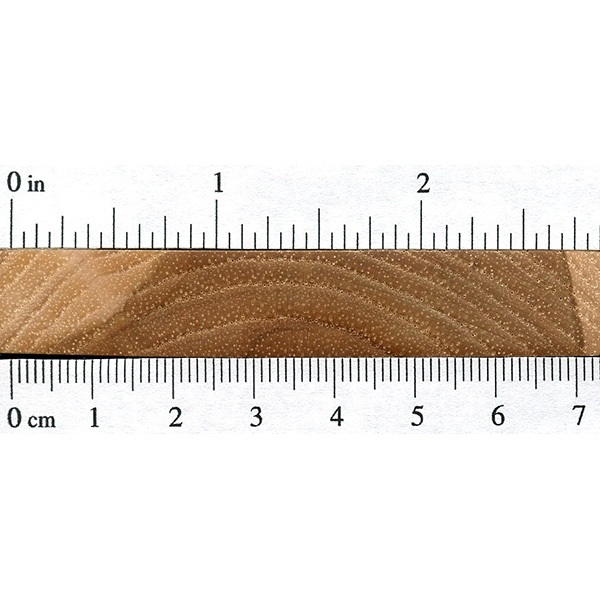 Lee again from rockler and I have aquestion for you.I was looking at Pecan on the data base and you mentioned that the faster growing trees with wider growth rings were harder and stronger than the slower growing trees with narrow bands are. I always thought the opposite to be true. Any idea of why that is ? Also, is the same thing applicable to other species of wood.In making bows strength is very important.